Ryan Tate at Gawker has a very gossipy story about one of the first times Steve Jobs flipped out on Eric Schmidt.It was 2007. 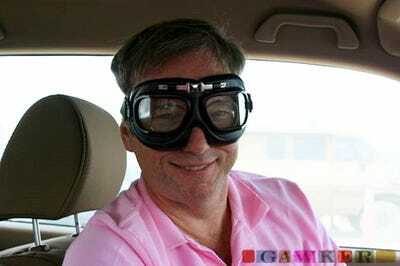 Eric Schmidt was on his way to attend the desert hippy festival Burning Man when he got a phone call from Steve Jobs. Word had leaked Google was working with HTC on a phone. Steve was screaming at Eric. Eric’s call with Steve dropped. He was in the middle of a desert, after all. So he went to a pay phone and called Steve back. Steve proceeded to chew him out some more. Ryan’s main source on the story is a friend of Eric’s “mistress,” Kate Bohner. According to Ryan’s source, Eric’s face went ‘weird’ while Steve berated him. In Ryan’s words, it was the beginning of the end. Eric hated the touch screen keyboard on the iPhone, never got used to it and therefore didn’t use an iPhone. Eric was never invited to Steve’s house to have dinner.